Consumer surveys and store audits shed light on ways to treat customers and spook competitors this Halloween season. Halloween has become big business. Almost 75% of U.S. households will make Halloween-related purchases in 2014, spending an average of $125 on everything from candy to pumpkins to vampire fangs. According to Jesse Tron, ICSC spokesperson (International Council of Shopping Centers), “Halloween has continued to grow in importance over the past several years and consumer demand has driven retailers to place greater emphasis on the holiday." 1. Most final costume decisions are made in the store. 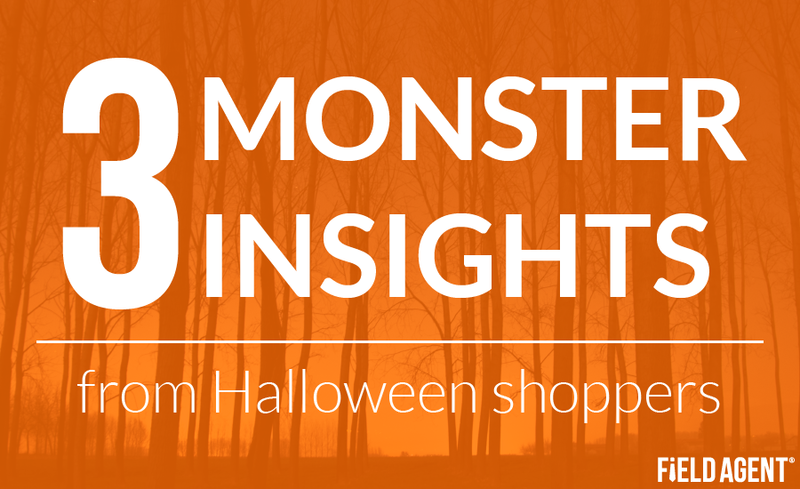 Do consumers know before entering stores how they'll dress up for Halloween, or do they rely on the store itself for ideas? 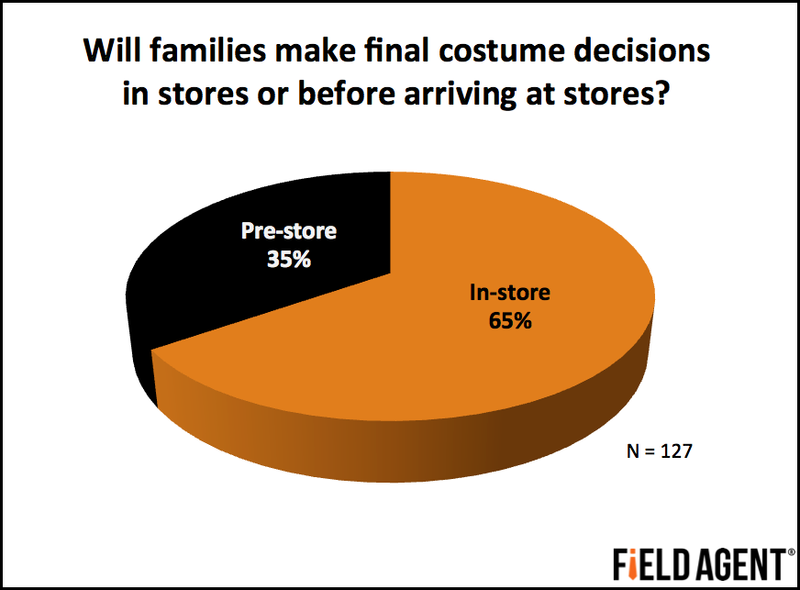 Among those who had not yet purchased their costumes, 65% of families said they delay final costume decisions until after seeing the stock carried by merchandisers. This finding suggests the store itself may significantly influence purchase-ready shoppers as they consider costume and accessory purchases. 2. For Halloween candy, mass merchandisers win on price and variety, but fall behind in accessibility. 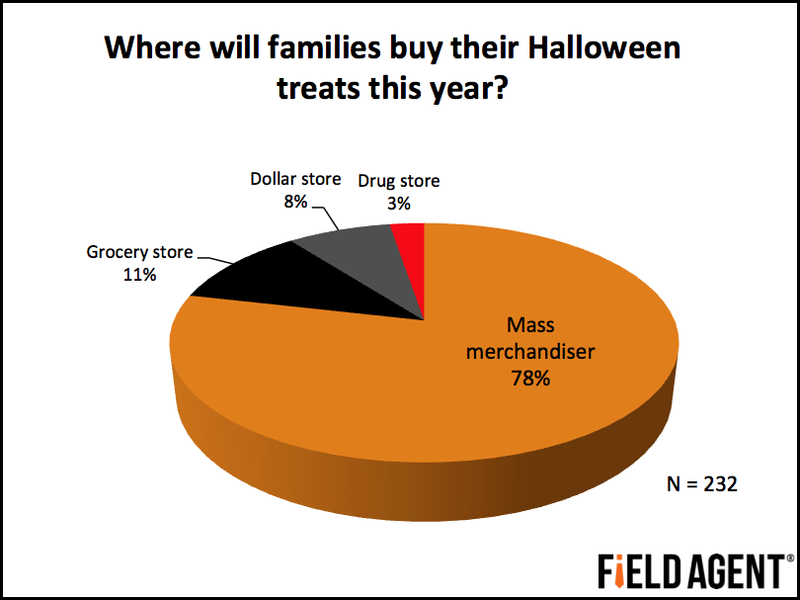 When asked where they'll purchase treats this year, a commanding 78% of households said they'll buy from mass merchandisers. Overall, our research pinpointed a few distinct advantages enjoyed by mass merchandisers. From information reported by our agents, we calculated the price-per-ounce for two traditional Halloween treats. A popular candy mix (individually wrapped) averaged $0.19 per ounce across all the channels, while a popular fall-time candy (not individually wrapped) came in at $0.15 per ounce. Mass merchandisers offered the lowest prices on both treats ($0.14 and $0.11 per ounce, respectively). 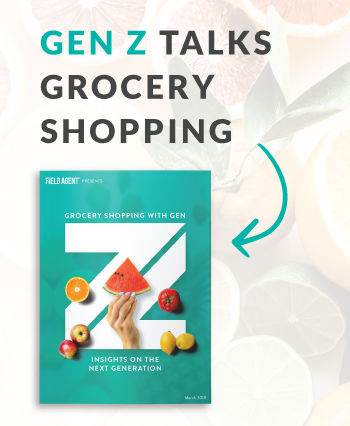 However, mass merchandisers may find it comparatively more difficult to reach convenience-minded and time-crunched shoppers. 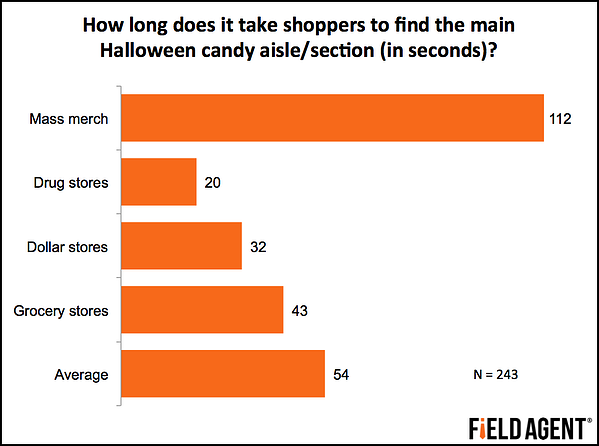 As part of our retailer audit, we asked agents to time how long it took to locate the candy aisle from their store's front entrance. It took them longer in mass merchandise stores. 3. What's on that Halloween candy package really does matter. We asked shoppers to take pictures of the most attention-grabbing items they came across and then asked them what specifically made the item stand out. The top three attention getters were novelty/uniqueness, package design, and brand name. Creative packaging can really stand out in the crowd. Whether it's store audits or consumer research, companies are increasingly looking to mobile market research to better understand their customers, competitors, and business partners. With real-time, 24-7 access to stores and homes across the country, mobile research affords companies greater control over the holidays. Mobile market research: real insights, real fast.